$13,055 (1985) . . .
"Designed for fast-writing speed storage applications. 3 Display modes: Nonstore, store, save....and 4-storage modes: Bistable, Variable Resistance, Fast Bistable, Fast Variable Resistance. 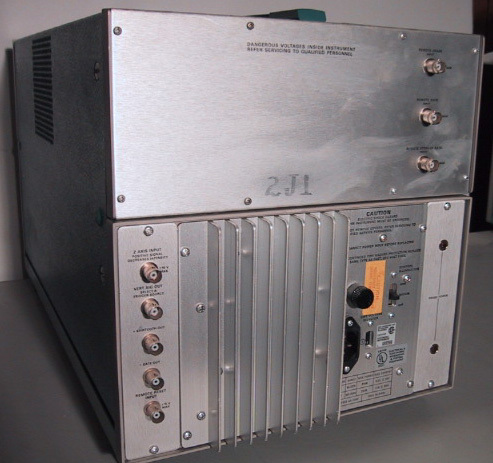 Power Supply Operates from 115 or 230 Volt nominal supply source (50 to 400 hertz) Verticle bandwidth (400MHz). 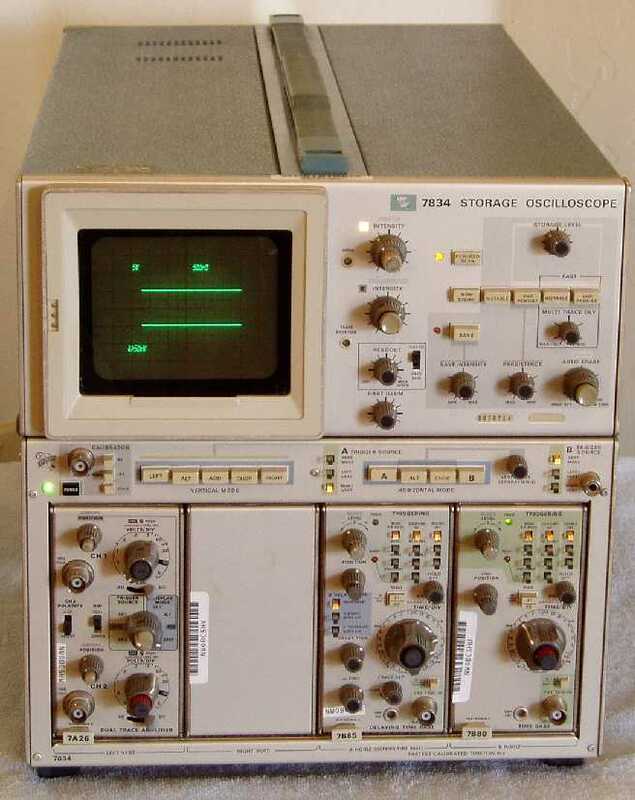 Tektronix model 7834 Storage Oscilloscope has a stored writing speed of 2500 cm/µS, enabling storage of single-shot risetimes to 1.4 nS, 3.6 cm high, at eight-divisions amplitude, reduced scan mode. 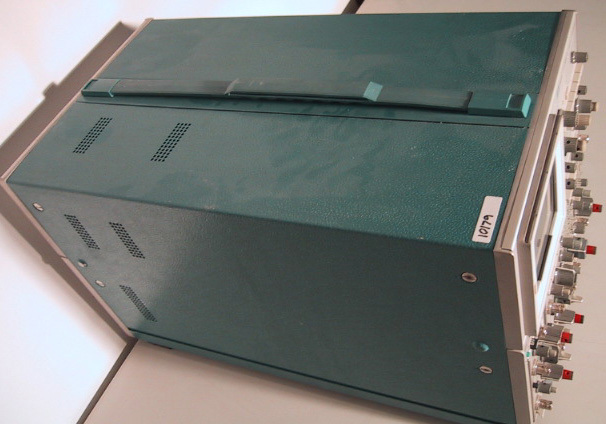 The bandwidth of this mainframe is 400 MHz. This instrument has four storage modes: Bistable, Variable Persistence, Fast Bistable and Fast Variable Persisitence. Bistable provides stored displays with long (30 minute) view time. Variable persistence gives high contrast displays of both single-shot and repetitive phenomena. Fast Bistable increases bistable writing rates to 350 cm/µS (reduced scan).